There are a variety of ways a total hip replacement surgery can be performed these days. While every procedure ultimately involves making an incision and removing the patient’s deteriorating hip and replacing it with an artificial device, some doctors will make an anterior incision, some will cut along the side, some will cut through the muscle, while others will move the muscle. There is now a special table that doctors can use to give them better access to the site of procedure, and in some cases, doctors will use computers to make the map the site and even robots to perform the actual surgery. While the proponents of every one of these techniques obviously claims that their procedure is the best, a recent report outlined in News Medical looks at the results following various techniques to see which one actually has better results in the various cases. The study is being performed at hospital that specializes in joint surgery and uses what researchers are calling a portable gait analysis device to see how well the surgery works. Researchers will take measurements to learn how a patient walks both before and after surgery and determine the degree to which a patient’s gait has improved as a result of having a total hip replacement. Researchers say that there is research on the effects of anterior and posterior approaches, but there is no research on the outcomes of robotic hip replacement procedures, and there is also no research that compares the outcomes of all of these methods. While the study size is obviously quite small, it will give doctors and researchers a chance to know what procedure does actually offer the best chance of success. In the case of a total hip replacement procedure, there are various ways to measure what it means to have a successful outcome. The first and foremost way to measure success is to see if the device fits properly and there is no partial or even total device failure. These devices are meant to be durable and last for 10 to 15 years on average, but they will not last forever. 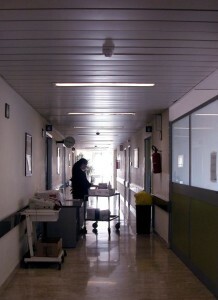 However, if a device becomes loose or fails in a few years after being implanted, there are serious problems, and the patient will likely require a second or even third surgery and this will result in a great deal of pain and suffering and additional time away from work, and this can result in additional lost wages. While a perfectly designed device can fail as result of over-exertion on the part of the patient, a total failure is more likely to be the result of a defectively designed hip such as the Pinnacle ASR manufactured by DePuy, which is a major manufacturer of artificial hip implants. This particular artificial hip implant used an all metal construction that resulted in grinding that causes shavings of metal to be released into the patient’s bloodstream. In some cases, these shards have been shown to cause a serious medical condition known as metalosis, which is infection in the blood.